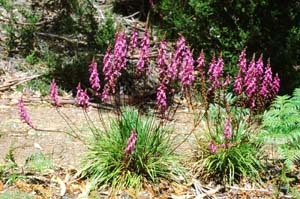 Stylidium dilatatum is a common species in relatively fertile places in central and eastern Tasmania (e.g. moister hillsides and basalt areas). 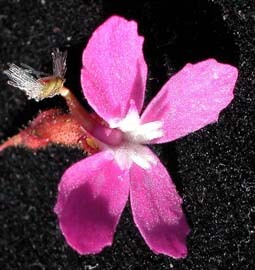 It is similar to S. graminifolium, but is much more robust - with wider, often longer leaves and thicker peduncles.